Here at Cupid Carriages, weddings are our speciality and as your leaders in chauffeur driven wedding cars, you can guarantee we will have the perfect vehicle, whatever type of wedding it is you may be planning. 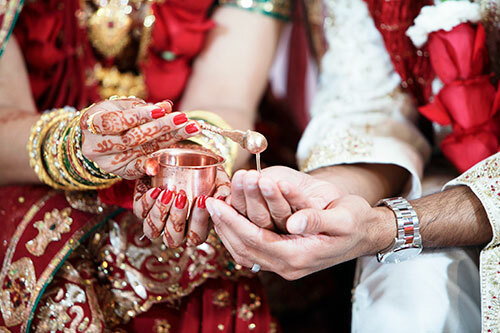 Catering for a range of weddings, including Asian weddings, we understand how special your big day is and the importance in getting every fine detail spot on, right down to the vehicle you arrive in. With a wide range of wedding cars available, such as Bentley and Rolls Royce, we have ranges of classic vintage as well as more modern limos and executive models. Our helpful staff can also recommend the most popular cars used for indian weddings to keep in line with your wedding theme. So if you’re looking for the perfect asian wedding car for your special day, then please dont hesitate to get in touch with the team at Cupid Carriages. We’ll be happy to arrange some viewings so you can see for yourself just how beautiful our cars really are.